In 2014 DIAMM facsimiles published The Henry VIII book, a full-color facsimile of GB-Lbl MS Add.31922, which contains many works by Henry VIII of England. This new edition presents over 260 full-color page images plus an 85-page introduction by David Fallows, who examines the book with fresh eyes and shares considerable new information about the content and context of this manuscript. 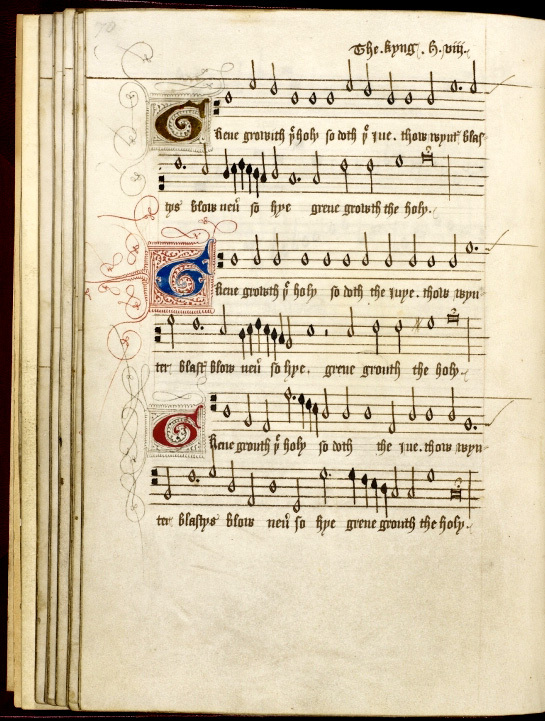 Below, two of King Henry’s works for recorders.